Bride and groom inside the gazebo at The Patrician Banquet Hall. 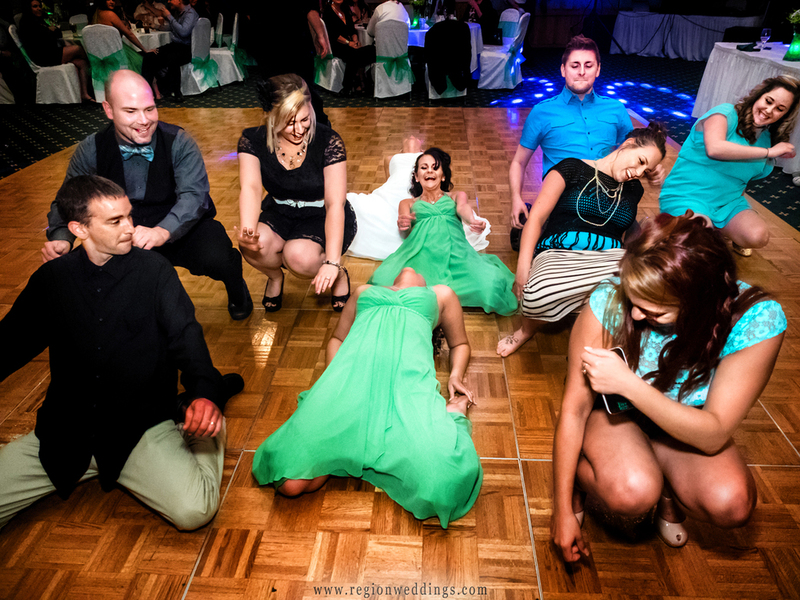 Andee and Mike had a wonderfully green colored Spring wedding at The Patrician Banquet Hall in Schererville, Indiana. In typical Midwest fashion the temperatures got chilly but not enough to prevent us from some outdoor images near the gazebo. The sun was shining bright and hearts were warm. Our day started with getting ready at the bride and groom's home with non stop laughter from Andee and her bridesmaids. Her two sisters were in the wedding party with close friends on hair and make up. Add in a bit of hermosa and all was well. The bride shares a laugh with her sisters and bridesmaids on wedding day. The ceremony was held indoors at The Patrician and was filled with family and friends with lot's of love and laughter throughout. The groom places the ring on his bride's finger at an indoor ceremony at The Patrician. 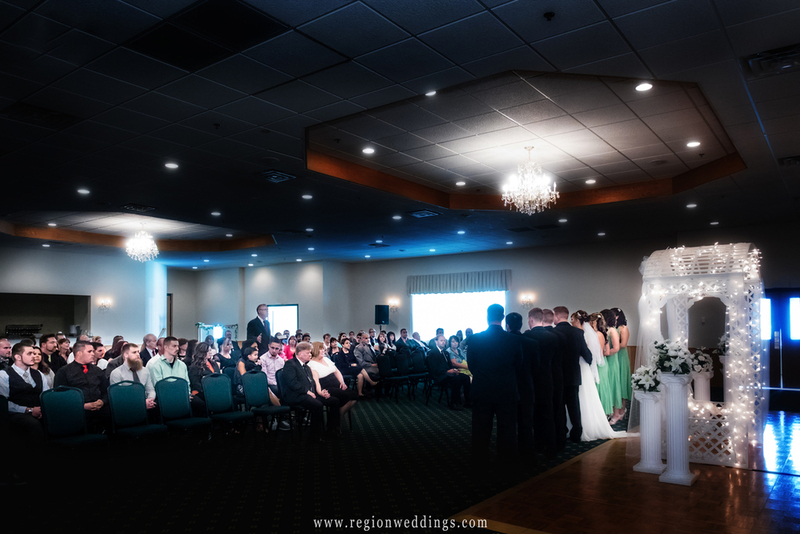 Sun streams in during an indoor wedding ceremony at The Patrician Banquet Hall. First kiss for Andee and Mike. Andee and her two sisters paid tribute to their mom by posing with her photo in a frame as well as some mementos. She had passed away just a month ago but was in the room in spirit. It's moments like these where I'm reminded of how important photographs are in people's lives. The bride and her sisters pay tribute to their mother. When family photos were complete, I took the bride and groom outside for some photographs at the gazebo behind The Patrician. Soon it was dinner time with dancing and fun to follow. The bride and groom gaze at each other in front of the gazebo after their Spring wedding. Before the party started (and trust me - it was a party), the night began with some wonderful speeches from the maid of honor and best man as the bright sun shone upon the head table. 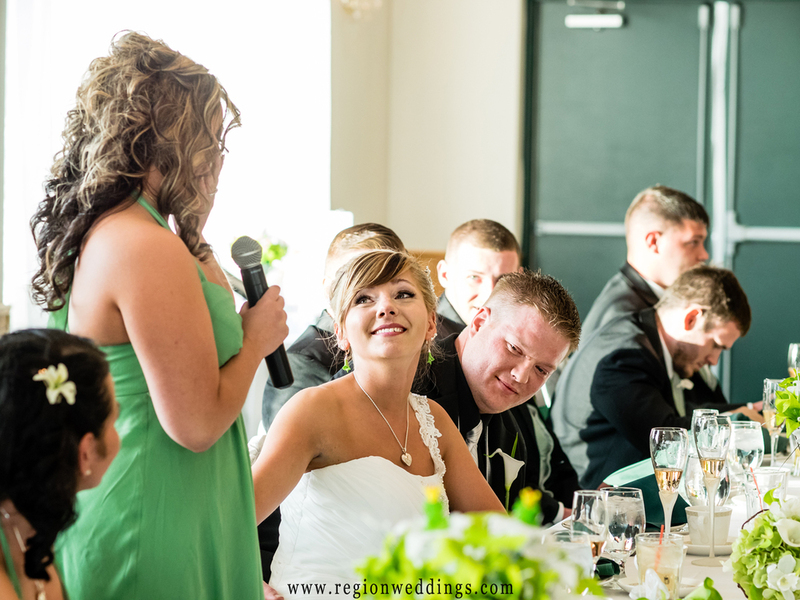 A speech from the maid of honor before dinner at The Patrician. A kiss at the reception after cutting of the cake. After first dances on the darkened ballroom floor, the night kicked into high gear with beer pong. 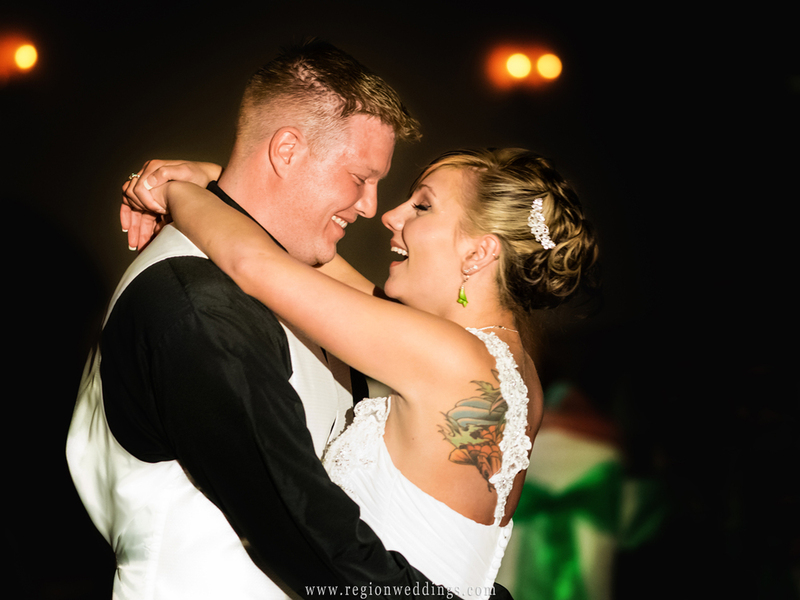 The bride and groom share a laugh during their first dance. 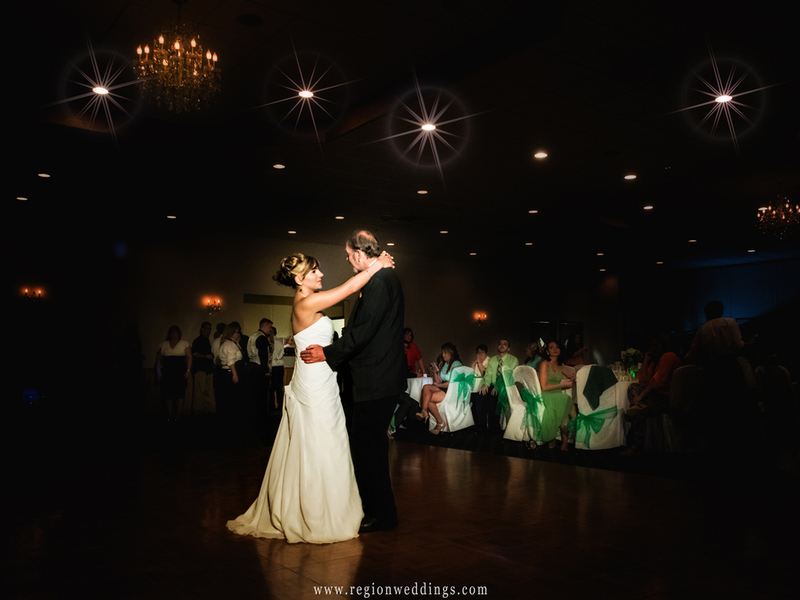 Father and daughter dance in the spotlight. Grandma tries her hand at a little beer pong. Be sure to subscribe to this journal and like the Region Weddings Facebook Page for more updates. The groom lifts his bride triumphantly into the air at their wedding reception at The Patrician.